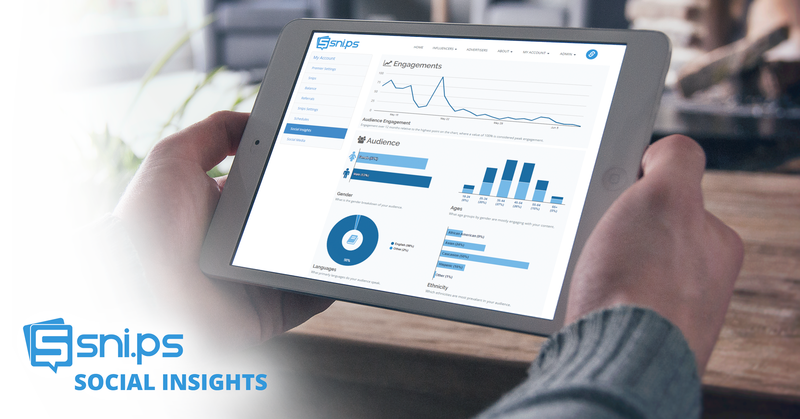 Chicago, IL, June 14, 2017	(Newswire.com) - ​​​​​​​Snips Media today unveiled Social Insights, a new platform for influencers that offers real-time analytics and audience demographics. 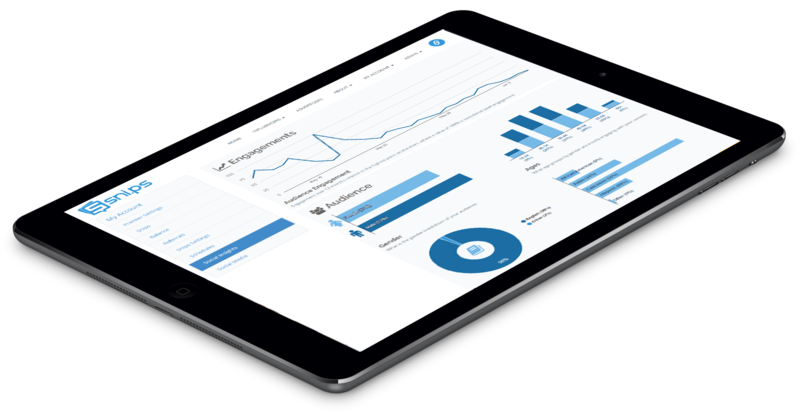 Social Insights allows influencers, bloggers, and content creators to better understand their audience and optimize engagement across social media, web, mobile apps, email and messaging platforms. Marketers recognize the more you know about your social followers, the easier it is to create and share content they will find valuable — the key ingredients for driving engagement, growth, and building a business. But most social media sites provide little or no audience demographic information, leaving influencers with very little knowledge about their social communities to build brand relationships. Social Insights fills this gap by providing influencers a snapshot of their entire social audience demographics, including age, gender, ethnicity, education, income, interests, and others. Using this data, influencers can optimize their content strategy and offerings to fit their audience interests and increase engagement. Social Insights is an extension of Snips Media’s Social Verify platform, a tool for authenticating social media traffic and measuring influencer campaign performance. With the growing number of bots and non-human traffic plaguing social media, marketers are increasingly finding it difficult to engage the right influencer and evaluate the success of a campaign. Together, Social Verify and Social Insights create a unifying platform that solves both problems. Founded in 2013, Snips is the only performance-driven influencer network that connects brands with audiences across all digital platforms — social media, web, email, mobile apps, text messages. Through Snips, advertisers can work with social influencers to promote content, run online contests and giveaways, or sponsor organic content with high-impact advertisements. More than 15,000 influencers and brands rely on Snips’ network to create monetization opportunities and drive audience engagement. For more information visit http://sni.ps/.